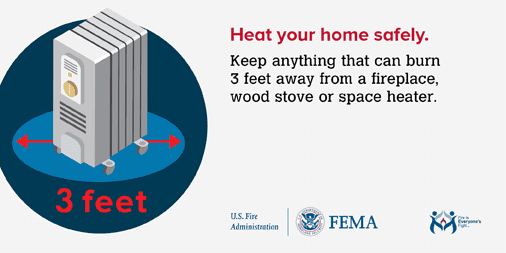 “People are at greater risk of a home fire in the winter season. 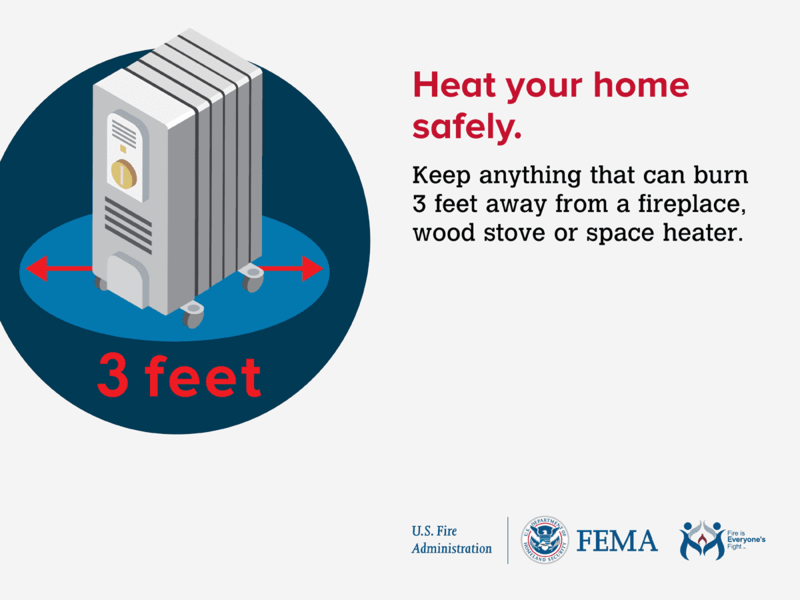 You can help prevent winter weather-related home fires in your community by sharing these safety tips, social media messages, and public service announcements”. Share these Heating Safety social media cards. 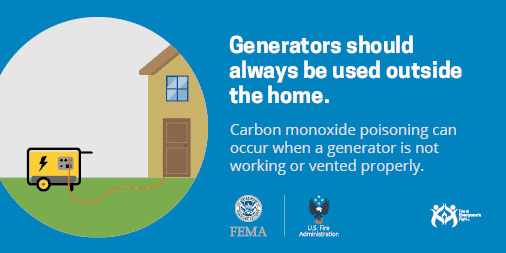 Share these carbon monoxide social media cards. 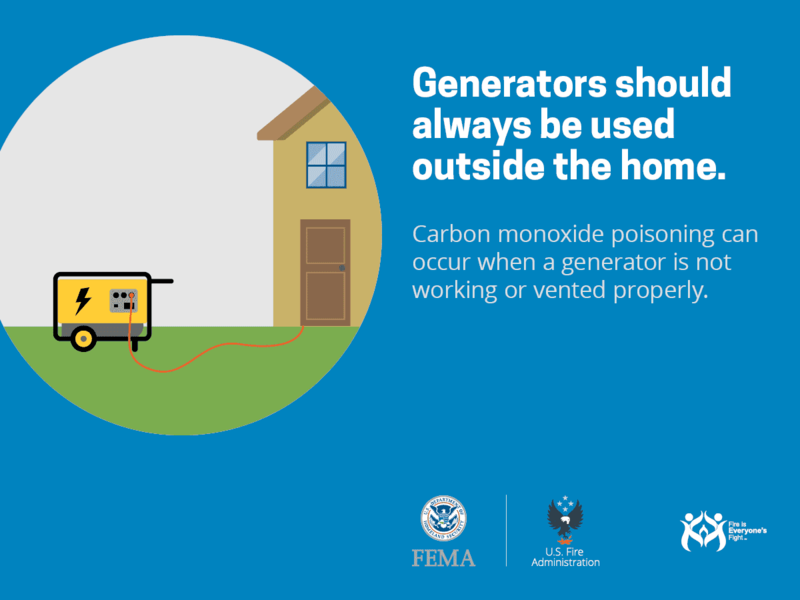 Generators should always be used outside the home. All prevention and public education materials are part of Fire is Everyone’s Fight. You can find more information about Fire is Everyone's Fight and don’t forget to join the Fight.